Geoffrey’s father died when he was 2 years old and then Geoffrey lived alone with his mentally unwell mother and his cousins. The Local Chairperson of the village they lived in reported that Geoffrey’s mother tortured him and the other children and often chased them away from the hut they lived in. Home was never a safe place to be for Geoffrey and he was constantly living in fear. Finally, after many years of abuse, a neighbor took pity on Geoffrey because he was too young to defend himself or to run away when he was being abused so severely. She rescued him and provided what she could for close to a year, but ultimately she had too many burdens taking care of her own family. She could no longer care for him and was planning on sending him back to his abusive mother. This kind woman had pleaded with The Peace for Paul Foundation to take Geoffrey in so he would have a chance at a better life. In 2017, he came to live at Love Home (the PFP young children’s home). 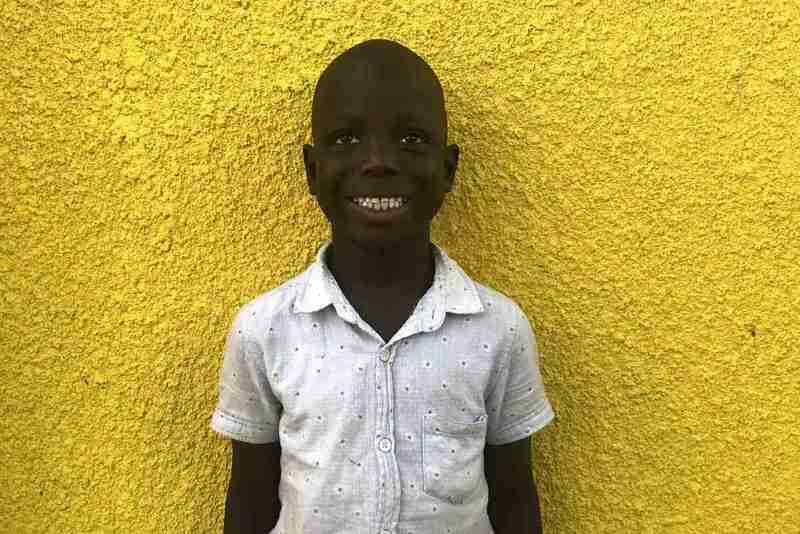 Through efforts of the PFP team, Geoffreys’ long lost aunt and uncle (both police officers) were located and in late 2018, he was resettled there with his cousins Simon Peter and Eric. 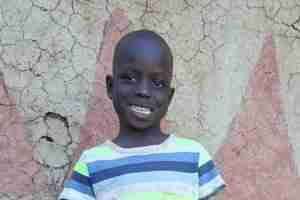 PFP continues to support Geoffrey with education and medical related expenses, but during school holidays, he lives at home with his aunt and uncle, who love him very much. The PFP social worker continues to make home visits and to follow up to ensure his safety and well being.